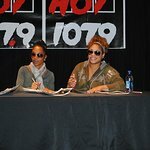 Campaign for the Arts has launched a nationwide initiative to keep the arts in schools, as well as a partnership with the Lisa Lopes Foundation (LLF), an organization named after Lisa "Left Eye" Lopes, former TLC member and legendary artist. The Campaign for the Arts was created to promote artists of all genres, raise money for schools and not-for-profits and focus on providing solutions to issues that are plaguing our nation and our kids, while teaming with people worldwide to collectively help save the arts in our schools. Founded by Digit, a Recording Artist, Songwriter and Producer, Campaign for the Arts Executives are industry leaders in Public Relations, Music and Legal Advisory. The overall team is composed of Celebrities (Entertainers), Musicians (All Genres), Radio Personalities, Record Labels, Booking Agents, Managers, Producers, Stylists, Designers, Promoters, Writers, Photographers, Sponsors, Travel Consultants, Educators, Students, Parents and Volunteers. With assistance from Music Producers, EP’s will be used to help raise funds. This initiative will allow artists to combine their talent to make chart topping EP’s in support of this cause. The unified message is that protecting the vision and creativity of artists, is not an option. Events given by “The Campaign” will be hosted by the Lisa Lopes Foundation and a portion of all proceeds raised will go toward the foundation. Additional proceeds will go toward the charities and schools chosen to participate as a partner in individual states. Not-for-Profit Organizations and schools will be chosen based on their level of commitment, current programs and through the recommendations of sponsors. Join the Campaign today!